Sander Wassink‘s “State of Transience” project was inspired by Heraclitus’ quote on perfection: “Nothing is permanent except change”. 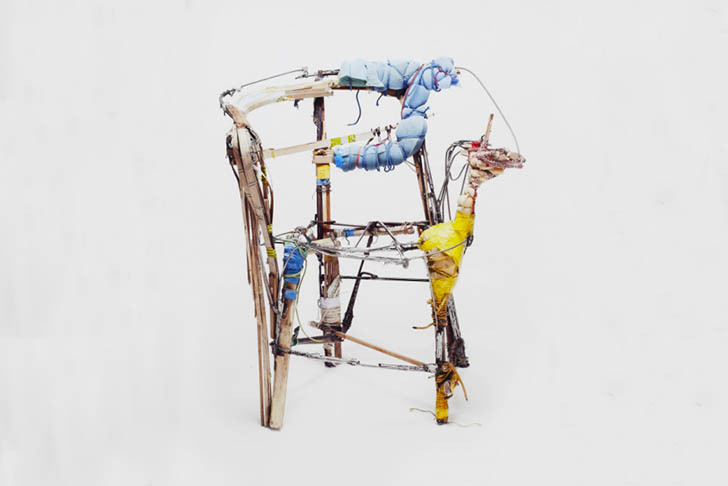 The Design Academy of Eindhoven graduate uses found scrap materials to create mutating chairs that reference the beauty of the abandoned, half-destroyed buildings he sees around Eindhoven. Sander Wassink‘s State of Transience series is more about a responsive design process than a finished product. The chairs continuously shift form over time according to the stuff Wassink finds. By making additions, subtractions and mutations and using different kinds of materials, Wassink encourages us to reconsider our ideas of beauty, value and waste. Sander Wassink's "State of Transience" project was inspired by Heraclitus’ quote on perfection: “Nothing is permanent except change”. 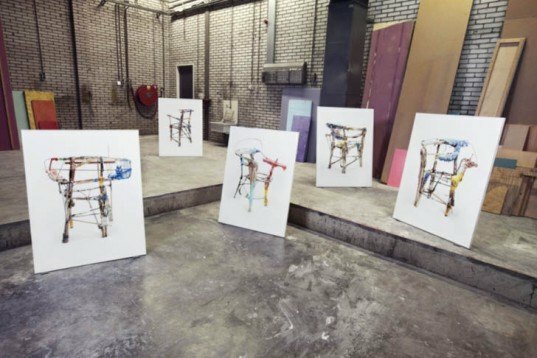 The Design Academy of Eindhoven graduate uses found scrap materials to create mutating chairs that reference the beauty of the abandoned, half-destroyed buildings he sees around Eindhoven.